For many of us, eating a plant-based diet comes naturally and doesn’t require thought - it’s second nature. Whilst we’re becoming more aware of where our food and beauty products come from, the fashion industry isn’t always so transparent. Following a vote earlier this year, the sale and manufacture of fur has been banned in Los Angeles - a huge step in the right direction for animal welfare and telling of increased consumer awareness. Though we still have a long way to come, there are some brilliant animal-friendly brands making waves in the fashion industry that are focused on sustainability, social responsibility and authenticity. 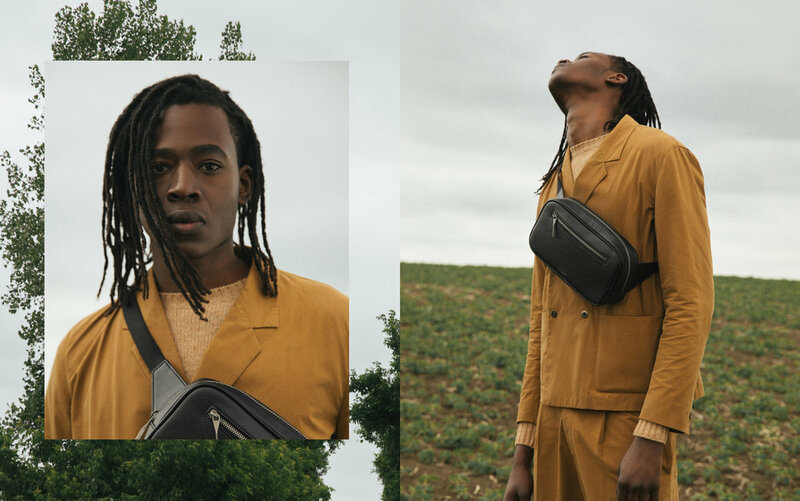 Ethical vegan accessories brand Matt & Nat are one of our favourites; committed to not using leather or any other animal-based materials, they often experiment with recycled materials such as cardboard, rubber and cork to create fashion-forward pieces. We caught up with owner Manny Kohli to discover more about his morning routine and his advice on how others can live more sustainably. “Matt & Nat was launched in 1995, but I joined in 2001. I joined as an experienced and established businessman and became the President and Owner. We all have busy lifestyles but I start my day by meditating for one hour, and then I practise yoga for one hour. It prepares me mentally and physically for my busy day ahead. I have a great team to support me so this really helps (maintain work/life balance). I dedicate a lot of time to my family but they know I must travel and work hard to keep the business alive. Getting to travel the world and visit places I have never been able to see before is a highlight of working for Matt & Nat. I always sit and have breakfast with my family but If I’m away I will call my them before I head out. My usual breakfast consists of fresh fruit or vegetables from the local markets in Montreal. My five most essential breakfast items are avocado, tomatoes, berries, banana and kiwi. This mixture enables me to have my five a day with something savoury to start followed by a sweet fruit salad. My most indulgent breakfast: vegan pancakes with berries or smashed avocado on vegan bread. The breakfast I wish you could eat over and over again is at Candle 79 in New York. They have a beautiful menu that changes daily. I would definitely recommend the green goddess juice! My best morning advice for busy people is to keep going, it will be worth it! Never give up and work hard to get what you would like. Start small but start today! If I had to choose from the whole collection, the ONE Matt & Nat product I couldn’t live without is definitely the Brave. Not only is it the best seller, it’s very practical for my day to day life.